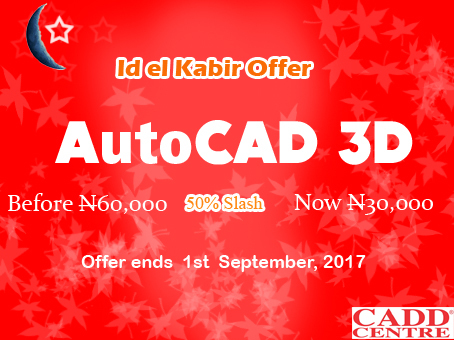 We rejoice with the Muslim faithfuls in preparation for the Eid-El-Kabir celebration hence a 50% slash in our AutoCAD 3D. Offer ends 1st September, 2017. T&C apply. This entry was posted in AutoCAD, News. Bookmark the permalink. 5 Years Anniversary Big Bang!